As the new top 100 for 2017 is being picked these days, we are thinking about our latest visit to the Wine Salon, a great place to get acquainted with the Moravian and Czech wine scene. 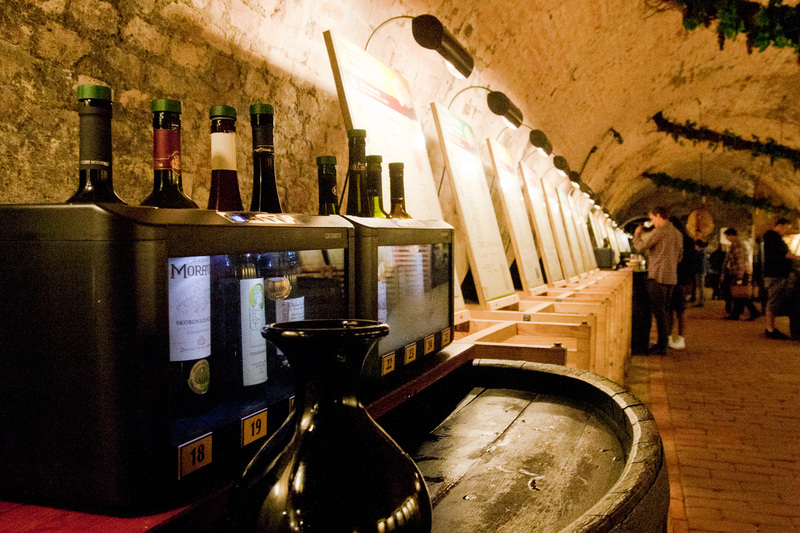 The Wine Salon of the Czech Republic is a collection of the 100 best Moravian and Czech wines for the given year. This entire collection can be found and tasted (!) in a big wine cellar in Valtice. Every year, hundreds of candidates enter the competition and a new selection of the best 100 wines is chosen to be displayed in the Wine Salon. Last year we visited the Wine Salon for the first time (Read about our previous experience in the post: “The 100 best Czech wines in 1 room“.) and we just couldn’t miss out on trying the 2016 collection this summer. The Wine Salon has a great concept. It allows you to taste all the wines that are on display nearly any day of the year. This time we had 1,5 hours to get trough the 100 presented wines. As if that wasn’t enough, the Wine Salon decided to make our visit even more challenging by adding extra wines this year. Besides the regular top one hundred, there were two extra expositions: the Winery of the year exposition, including all nominees for this prestigious award, and a special rosé exposition. Tasting all wines in such a short time is of course impossible – at least for us -, and so we had to skip about half of the wines. All wines are available for tasting. So with great spirits and a box of great wines we said goodbye to the salon. We’ll be back next year!